POOR farm succession planning is not currently affecting property prices – something that has happened more by good luck than good management, according to a number of industry experts contacted for this week’s property review. Accounting, financial, lending and legal advisor Chris Mulcahy, a director at Mulcahy & Co discusses farm-sector succession with clients on a daily basis and warns about the potential costs if they fail to act. “The most concerning issue is who is going to take on this farmland?” he said. Mike Stephens is the founding director of Meridian Agriculture, a major agribusiness consultancy group with a client base in southern Australia. He said there are very few farmers who have a ‘live’ succession plan. According to Mr Mulcahy, lack of succession can destroy viable properties or force once viable farms to be made smaller, and often less economically viable. “The problem arises when there are multiple generations in a farming enterprise, where there is a lack of certainty. When you get a lack of certainty, you can get a lack of trust between the individuals because no one really knows what is going to happen. A lack of certainty can be very damaging,” he said. If the issue isn’t addressed, lack of succession could force some farmers to sell when they don’t want to, or when conditions are less than ideal. Mr Stephens said the lack of an identified successor can sometimes force properties onto the market. “The lack of a transparent succession plan is an important factor in family members deciding whether or not to come home,” he said. He said if family members had unrealistic expectations about the family farm and started squabbling, then ‘fire-sales’ could result. “For example, if someone thought they were going to take over the farm, but other family members expected to divide the assets equally. Fractured relationships, a pie that’s too small and someone who tries to hang-on too long can also push a property onto the market sooner than anticipated,” he said. Mr Stephens said forced sales or fire-sales could be avoided by better planning. “The expectation is the older generation will have the funds to retire and not be totally dependent on the farm; will hand over a viable business to a family member and will deal with the non-farming members so they are happy with their share now and in the future,” he said. Mr Mulcahy agreed, saying farmland was in high demand, but he warned that the tables could turn. 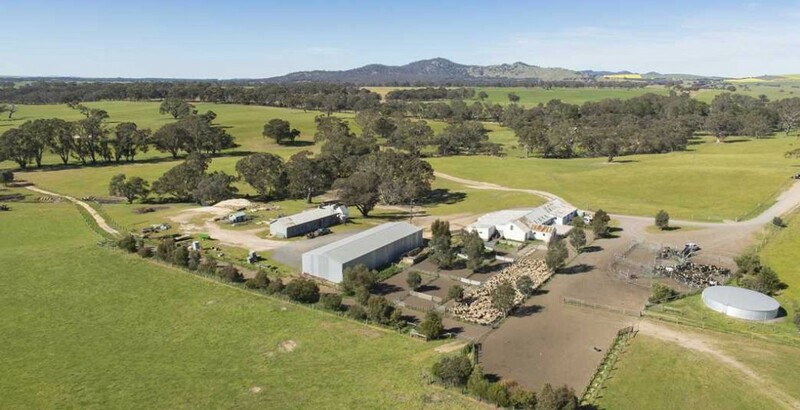 Mr Mulcahy said to protect a property’s price from such ‘distressed’ sales, an owner needed to sit down and discuss the future of the farm with family members and an advisor.